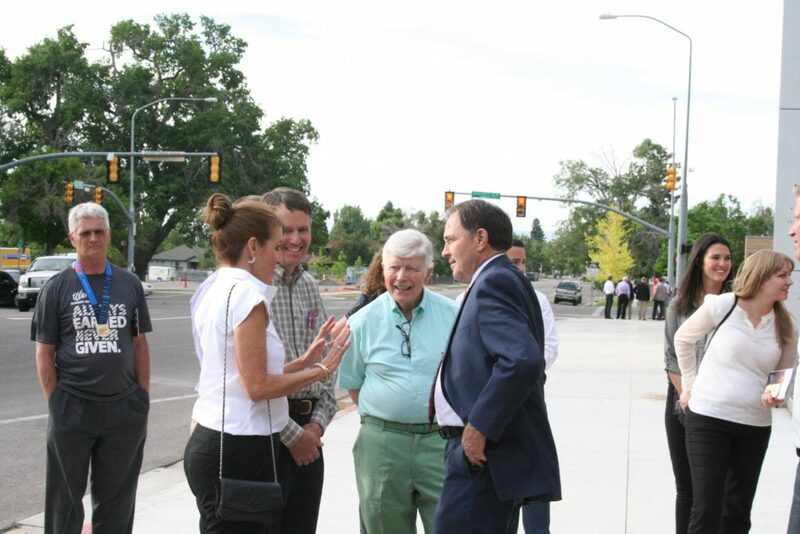 CEDAR CITY – With anticipation and excitement surrounding its July opening, Gov. 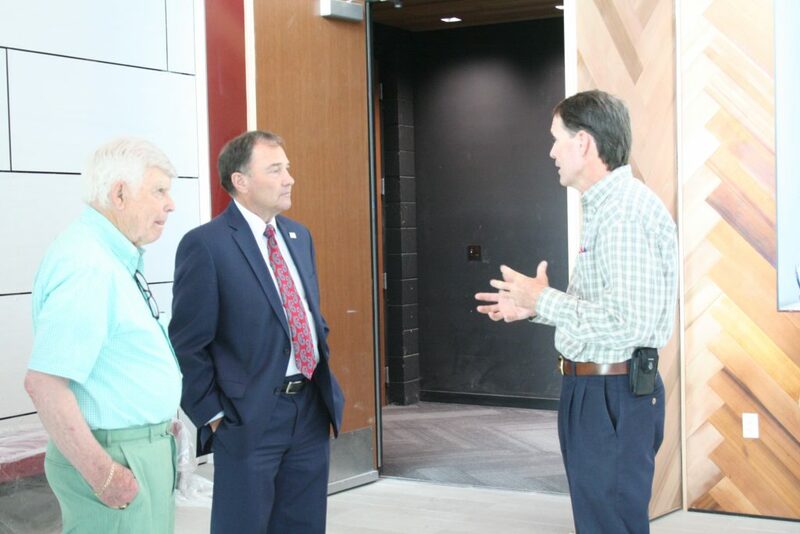 Gary Herbert toured The Beverley Taylor Sorenson Center for the Arts Thursday along Utah Shakespeare Festival founder Fred Adams and a number of others. 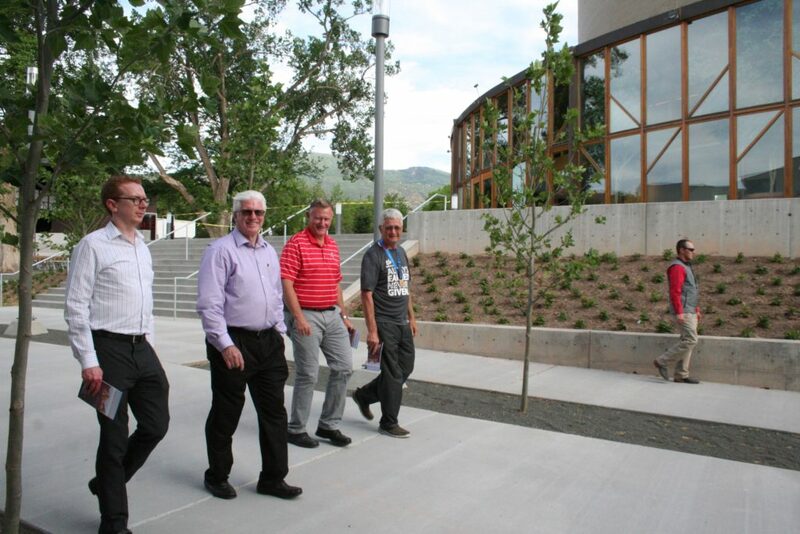 The Beverley will provide a new art hub near downtown Cedar City – a fine arts mecca – on the campus of Southern Utah University. 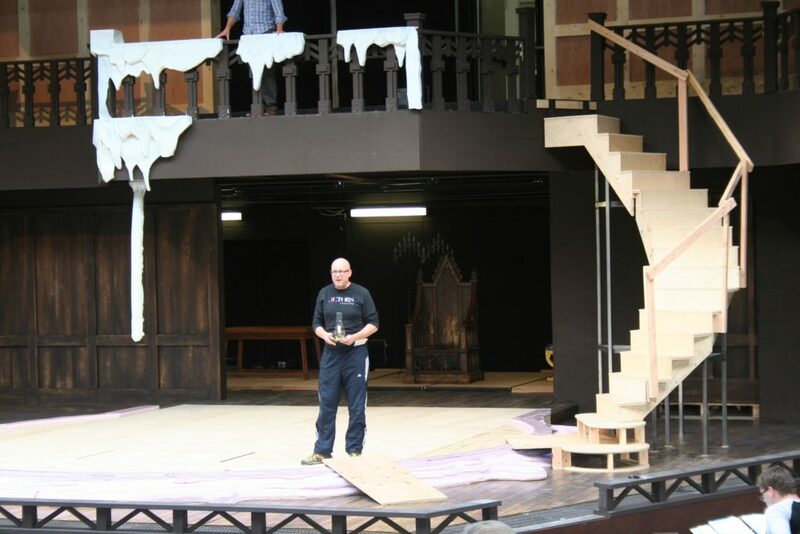 It will serve as the overall stage for the Utah Shakespeare Festival and includes a number of venues, some new some longstanding. 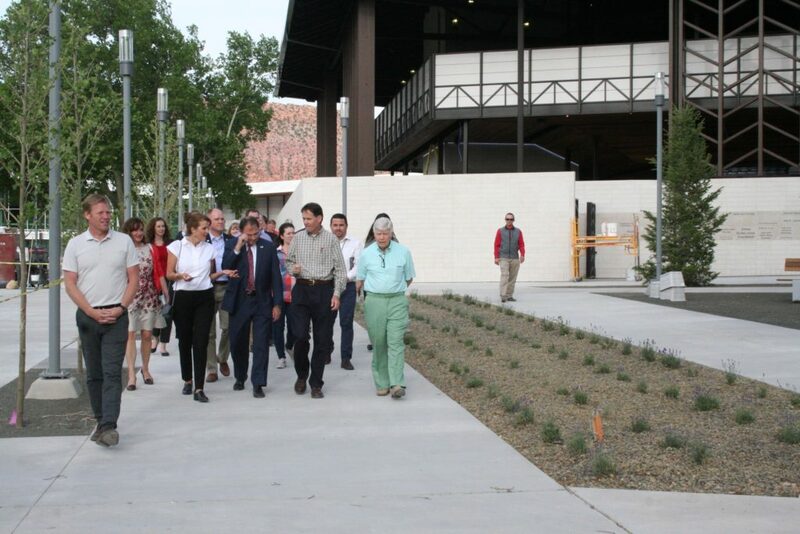 Among the venues are The Southern Utah Museum of Art, the new outdoor Engelstad Shakespeare Theatre, the Eileen and Allen Anes Studio Theatre, the outdoor Greenshow stage and festival administration buildings. 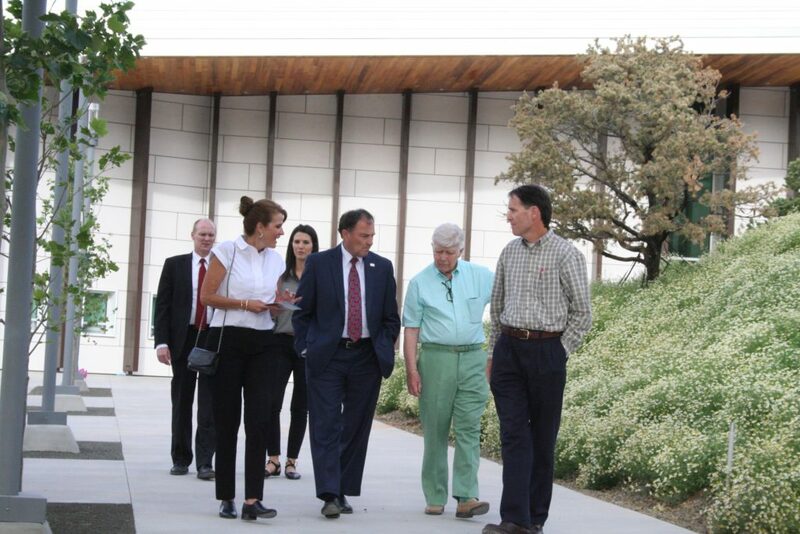 Utah System of Higher Education Board of Regents member Nina Barnes, of Cedar City, and members of the Shakespeare Festival administration and representatives of Southern Utah University joined the governor on his tour of the arts center campus. 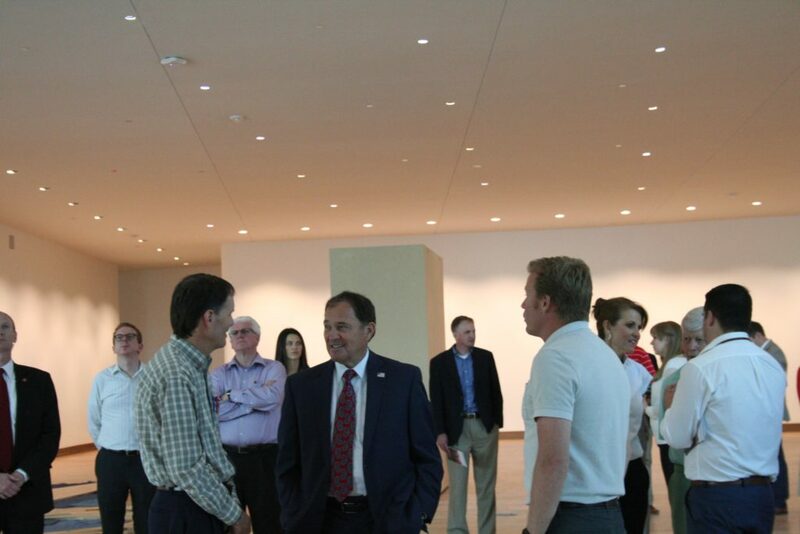 Adams expressed appreciation to the governor for his continued support of the Shakespeare Festival and arts in Utah. 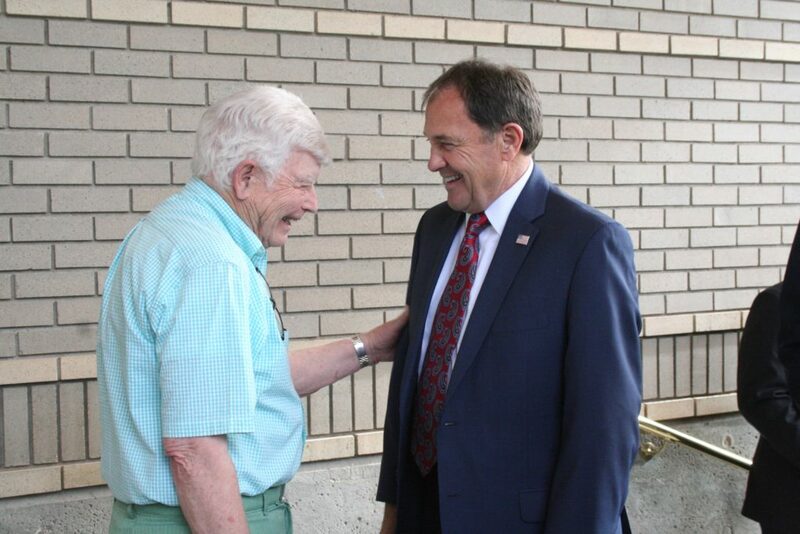 “We’re so glad and grateful that you are here,” he said to Herbert. 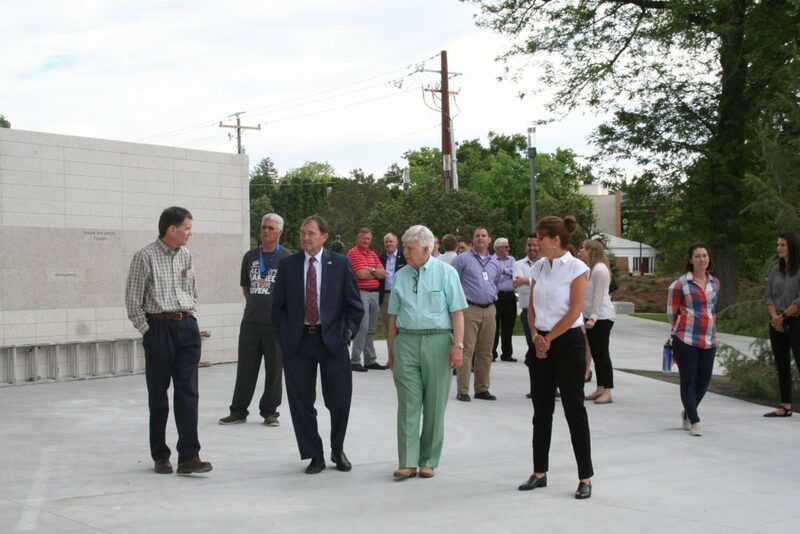 The governor’s tour was led by Tiger Funk, executive director of facilities management and planning, and Ben Johnson, director of construction services. 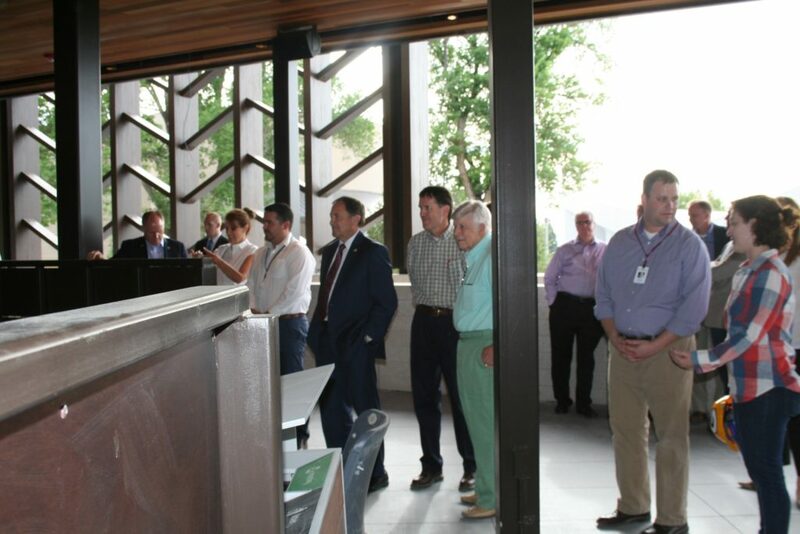 The guides explained the layout, standards, unique design, international standards, plans and processes behind each of the center’s projects. 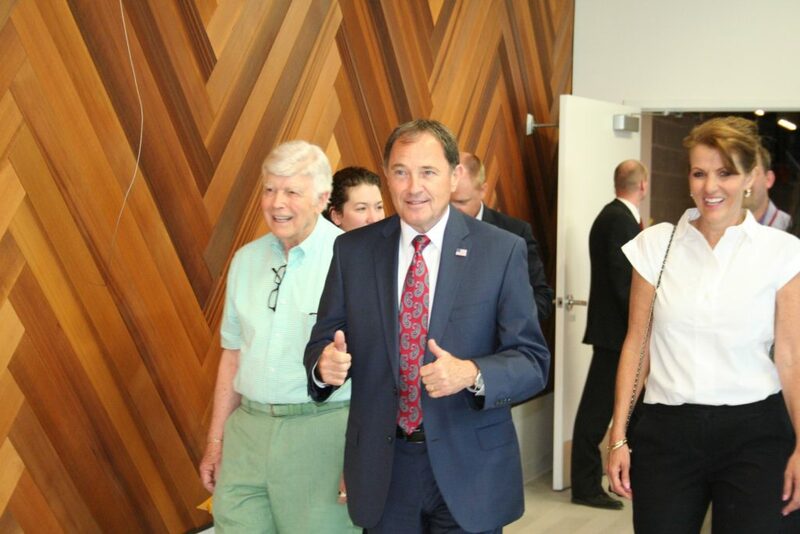 “While you have said that this has been a 50-year project, it will last for so much longer,” Herbert said as he visited the foyer of the new Southern Utah Museum of Art. 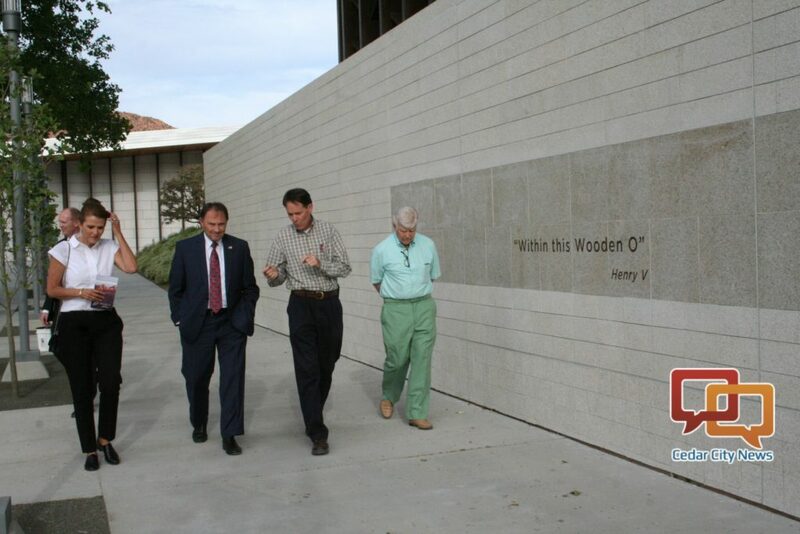 After the tour, Herbert described the projects he had visited as spectacular. 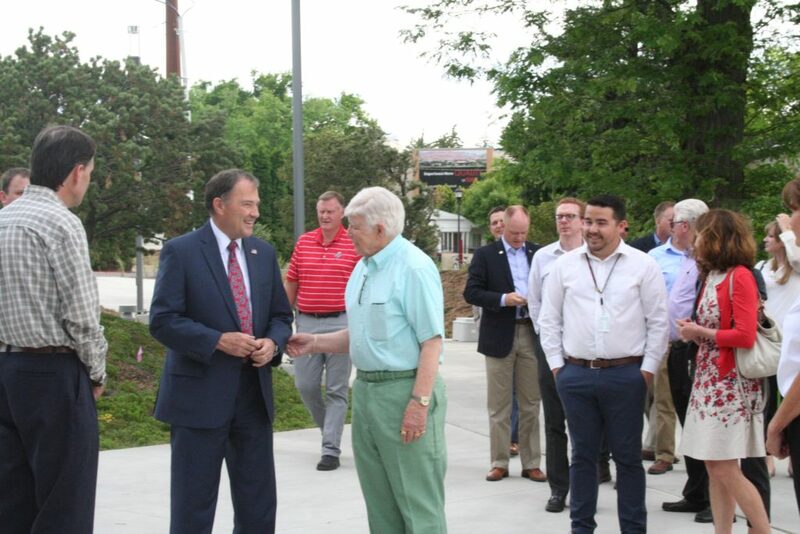 He said he was very impressed with not only the structures themselves but also the generous financial contributions from individuals and businesses in Southern Utah. 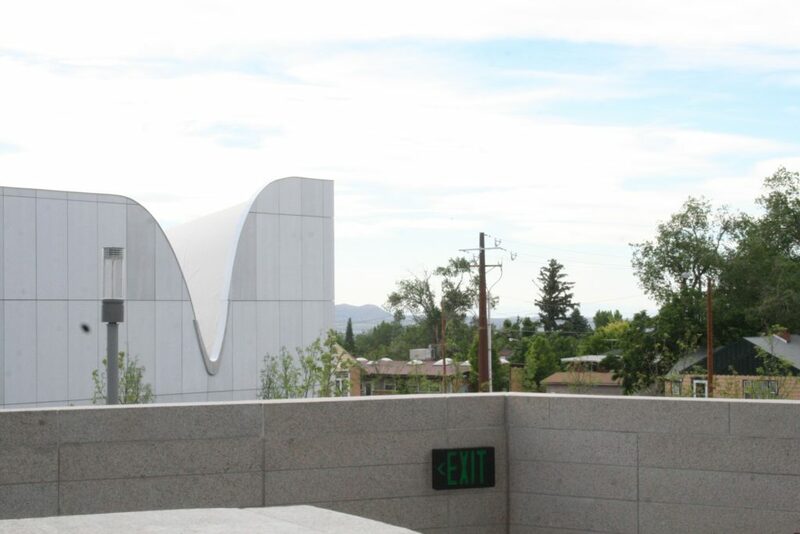 Leading up to the grand opening, a “First Peek” event will be held June 25 from 5:30-8 p.m. at the newly constructed Southern Utah Museum of Art in The Beverley. 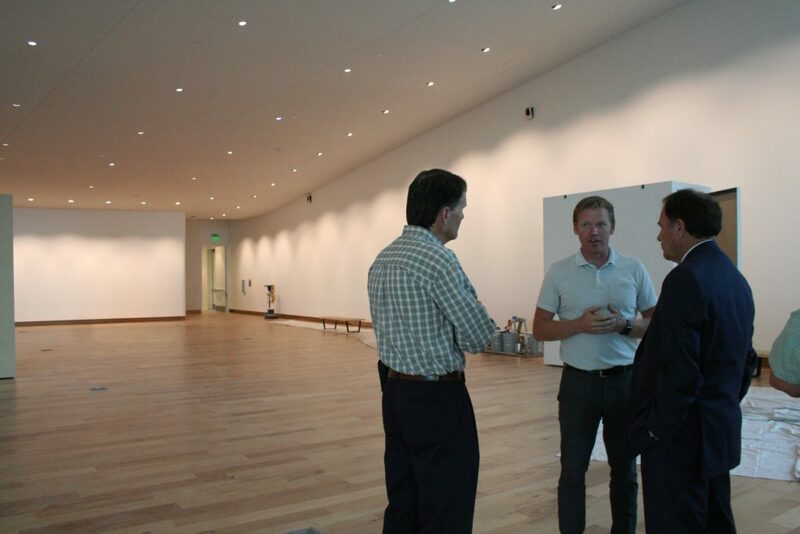 The Friends of SUMA have selected 37 pieces of art which will be both featured and for sale at the event. Tickets must be purchased in advance and are $50. Space is limited. 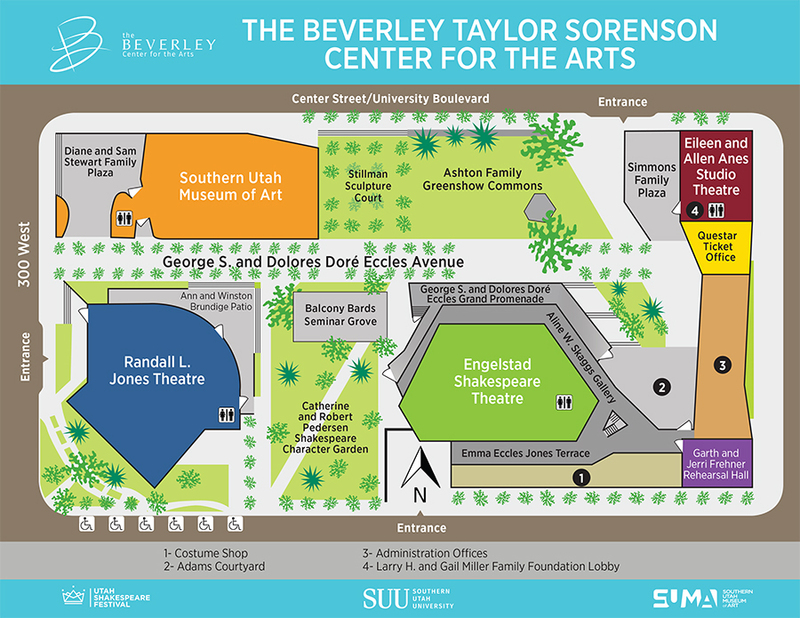 The opening celebration and ribbon-cutting ceremony for The Beverley Taylor Sorenson Center for the Arts, encompassing both the Southern Utah Museum of Art and and the Utah Shakespeare Festival’s two new theaters and facilities, will be held July 7 at 10 a.m. 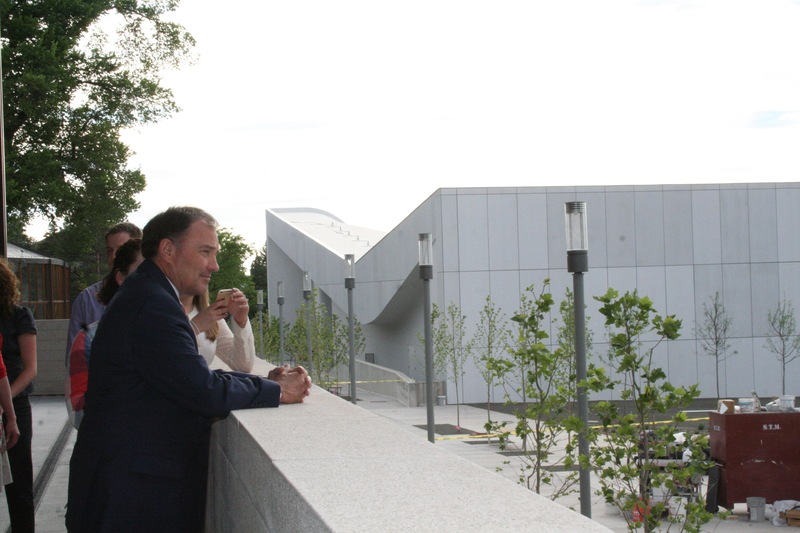 The community is invited to attend the opening weekend celebration from July 7–9. 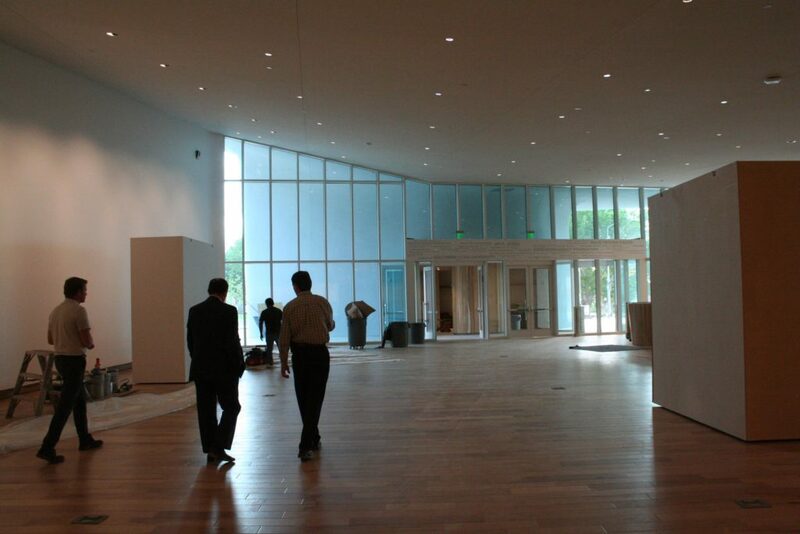 The festivities will include music, artist demonstrations, dancing, family activities and tours of the center.